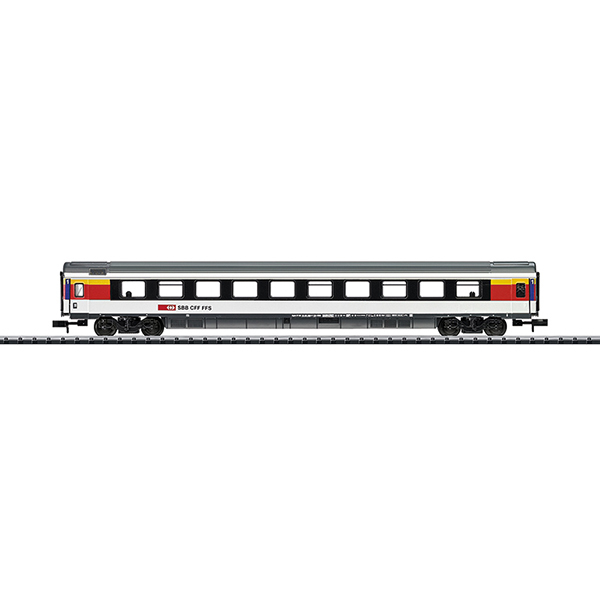 Prototype: Swiss Federal Railways (SBB/CFF/FFS) type Apm express train passenger car. Open seating car, 1st class. Current use: International long-distance trains.